cialis Congratulations! Your PlayingUpHockey account is almost ready. The fields below are required to create your account - they have been completed using your Facebook information where available. Please complete the remaining parts and click Submit and your account will be ready! A confirmation email will be sent for your records. Thank you for joining the PlayingUp community! Were you trying to login? If you were trying to login toyour exisitng PlayingUpHockey account, you probably have a different email address with this Facebook Account. Your PlayingUpHockey account must have the same email address as the Facebook account you are using. If you have more than one Facebook account, please be sure you are logged into the correct one in order to use Facebook Connect to access your PlayingUpHockey account. The World's Fastest Growing Hockey-Focused Social Media Site. 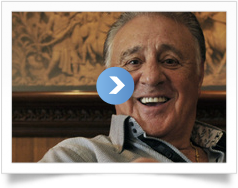 Check out what hockey legend, Phil Esposito has to say about PlayingUpHockey.com.